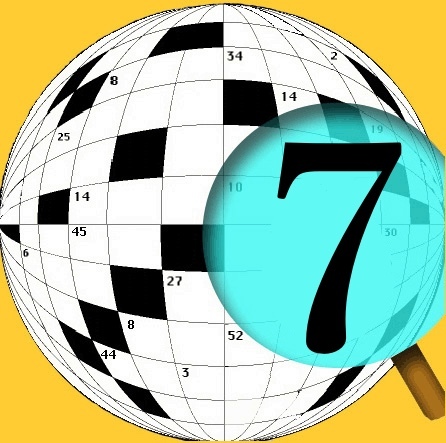 Content is from actual crossword puzzles. "Clue key word" search has added a "Whole Word" option (i.e. "cat" will not find "caterpillar"). A history of search word patterns will be generated for easy repeat searching (i.e. "?? ?A", "B??E??). 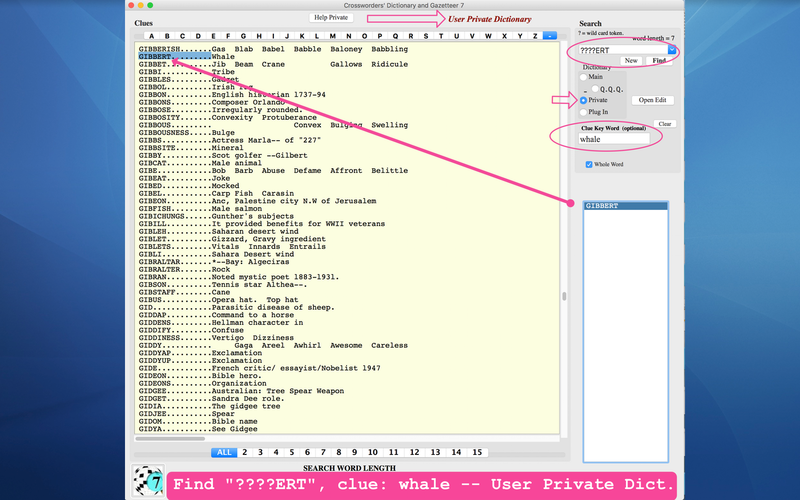 "Clue key words" will be highlighted when found in a search (PC version only). 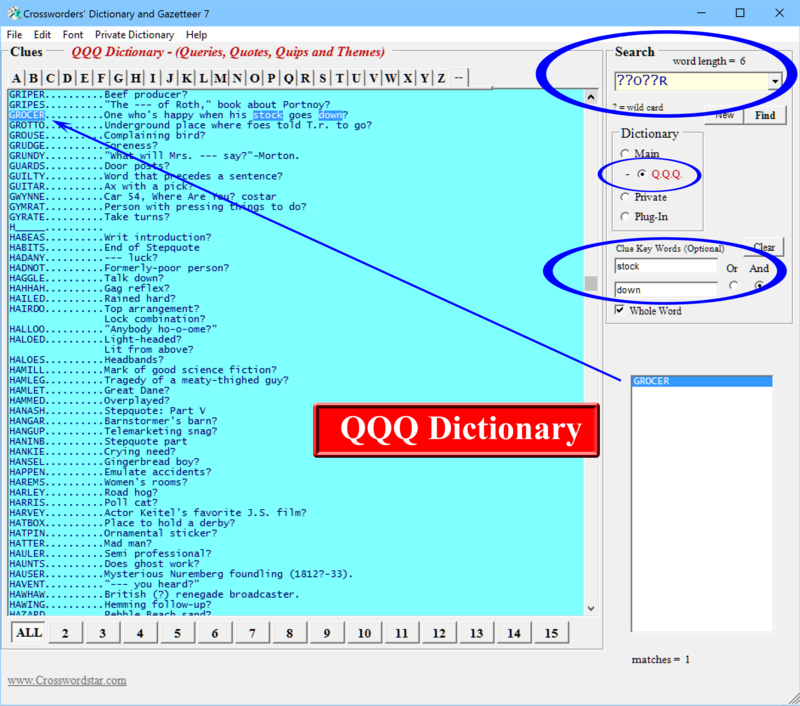 Support for external commercial dictionaries (Plug-In dictionaries). 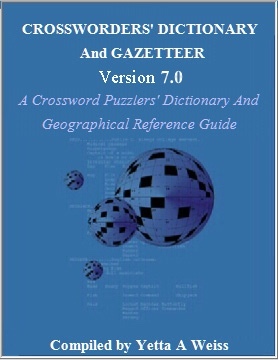 This twenty thousand (20,000) page digital dictionary/gazetteer (version 7) supplements all other paper crossword dictionaries and is by far the largest and most complete work of its kind. It is the heavyweight of crossword references. The dictionary is over eightteen thousand (18,00) pages long and the gazetteer content is over fifteen hundred (1,500) pages. The software allows for extensive easy searching and browsing, including specialized gazetteer (geography) sub-searches to find rivers, cities, language, coin, measure, VIPs and much more. 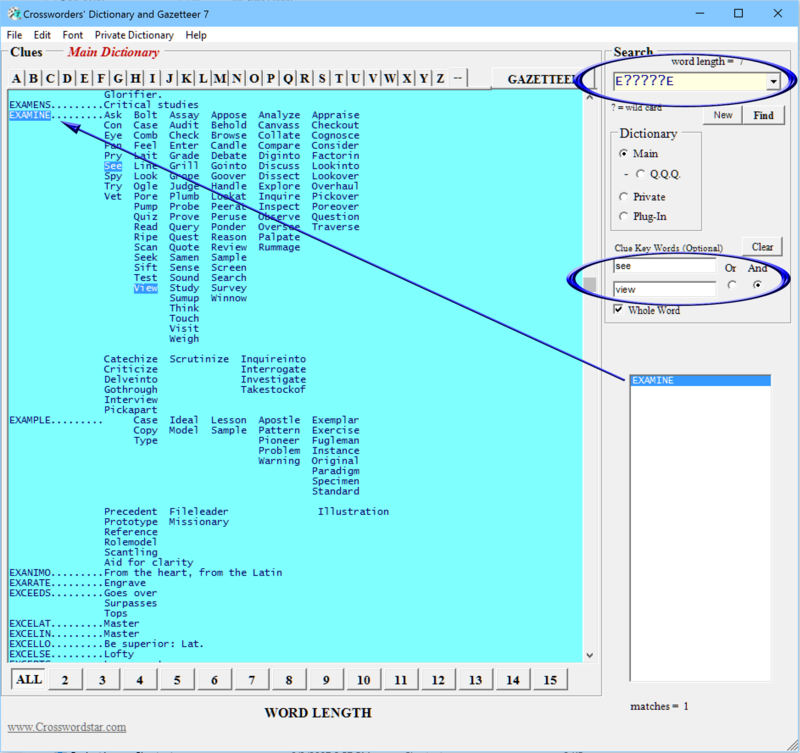 The total work contains over four hundred and ten thousand (410,000) individual look-up words with over three million total words including look-up word definitions (clues) and supporting information, all cross referenced. The included word entries are timely (year 2017) and extend back over seventy five years to represent more puzzler clues than can be found in anything available. Also included is almanac material (i.e. Nobel Prize & Academy Award winners, Shakespeare, sports, film and songs) and extensive foreign language content. 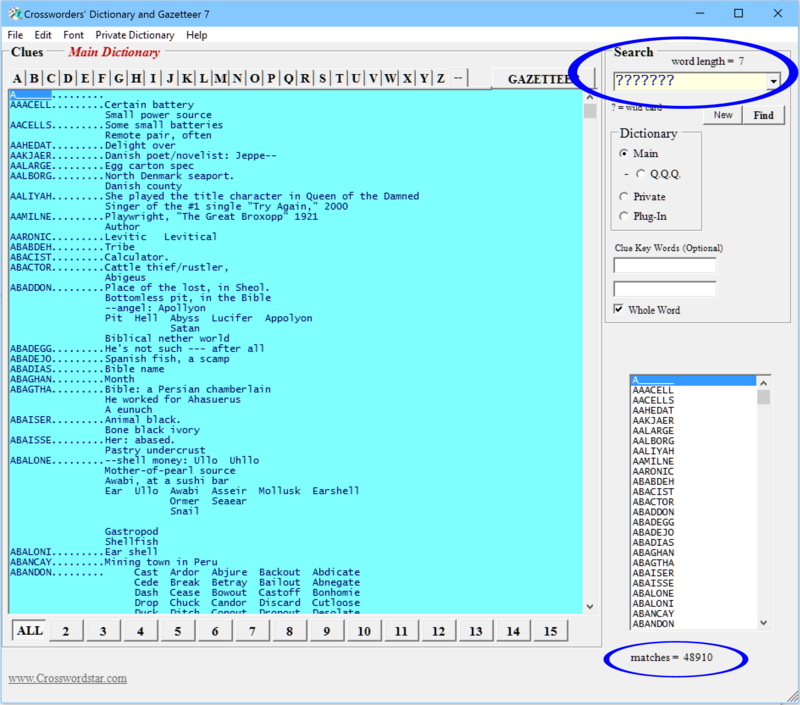 A feature of version 7 allows the user to generate their own dictionary of up to 50,000 look-up words with an allotment of 50 characters for clues for each look-up word. 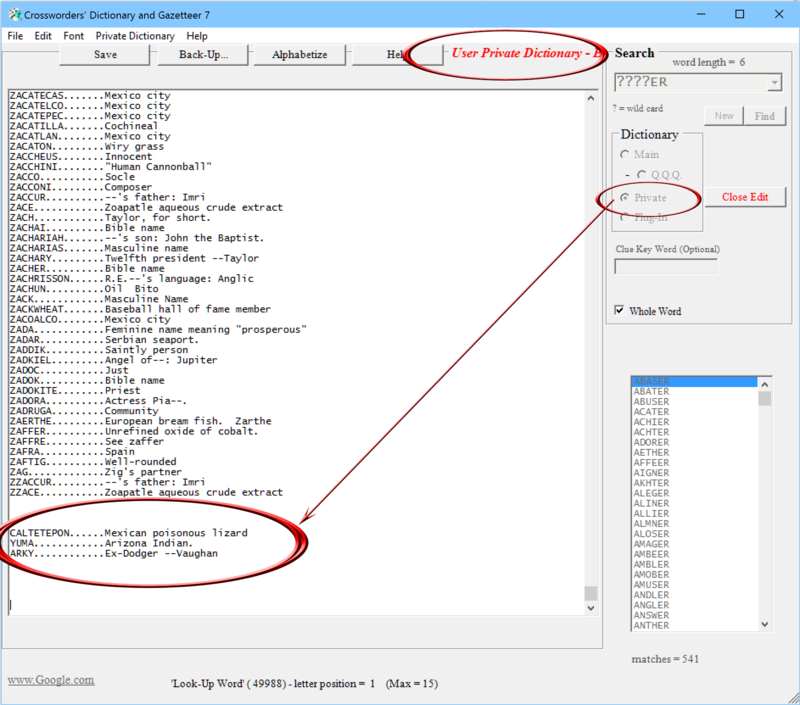 This user created private dictionary has the same search and sort functions as that of the main dictionary. 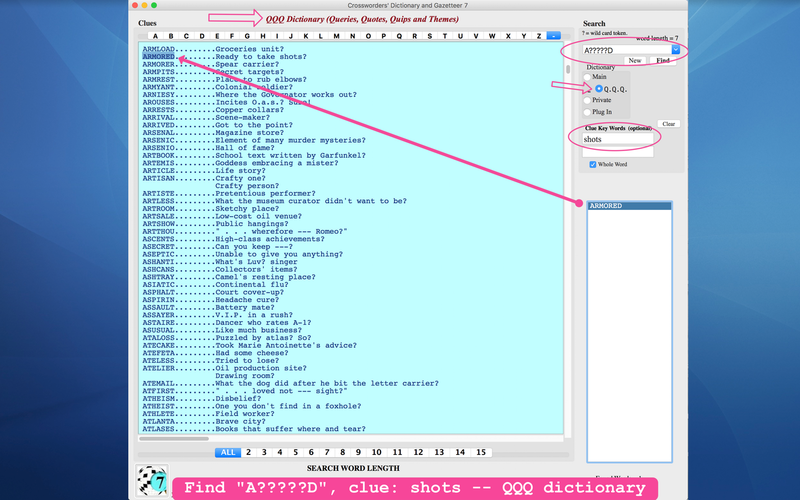 Also in version 7 is a separate dictionary for Queries, Quotes, Quips and Themes. Note to Win 7 Users: Requires the Microsoft .NET Framework Version 4.5. Most users have it, but if not, the Installer will quide you.